Classic modern: The quartz wristwatch BN0021 by Braun recites the Bauhaus design era skillfully. Unostentatious and functional it guarantees the well-known Braun quality. 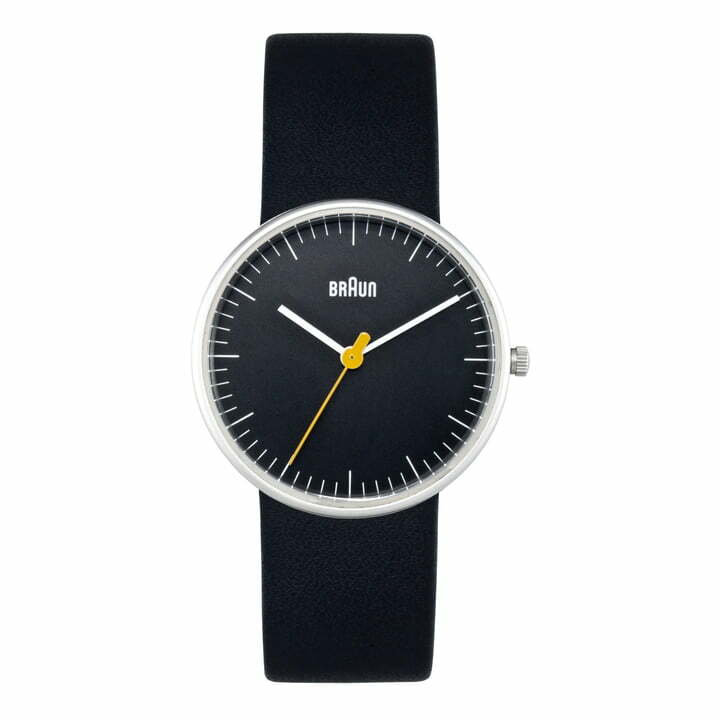 The quartz wristwatch BN0021 by Braun shows taste without acting obtrusively. The classic design offers a perfect readability and overview – by its stylish reduction the BN0021 is the embodiment of the basic thought of functionalism. A matte stainless steel housing with clearly defined dials in a typical Braun style shows understatement in balance with its simple leather strap. Also the technical equipment of the wristwatch is at the highest levels: The 3 hands quartz clockwork ensures a precise and reliable performance. Scratch-resistant mineral-glass guarantees robustness.